Those who have played Two Dots and PlayDots’ other title Dots may be familiar with what they have to do to complete more levels in this new title. 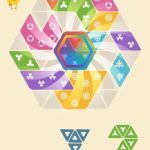 Now, even if you’re no newbie to the Dots franchise, you may find our Dots & Co strategy guide helpful – after all, this may be a similar game to Two Dots, but there are more than enough features to make it stand out as a unique, true-blue sequel to that title. 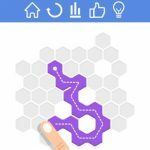 We’ve seen a lot of game developers make their puzzle titles more challenging by adding the element of time limits, thus forcing players to combine speed and precision. That’s all well and good for those who love a good challenge, but if you’re the type who prefers to carefully think things out before making a move, Dots & Co will appeal to you. 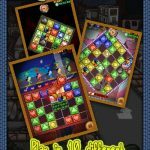 Like in Match 3 games, there’s no time limit to deal with, but you do have a move limit – take as much time as you need to make sure you solve the puzzles within the maximum number of moves. But you’ll still want to finish puzzles with as many leftover moves as possible, as that’s going to give you more bonus points. For the benefit of those who aren’t familiar with the mechanics of Dots and Two Dots, here are some basics you’ll want to take note of. First, you can match dots in a straight line, and you can match them around corners, but you cannot match them in a diagonal line. And since new dots drop down after you clear out a few, you should be making your matches close to the bottom of the board, much like you would in a Match 3 game. You should also match those swirly dots once you see them, as they turn all surrounding dots into their color. This is important when trying to create squares or rectangles, and since squares are very useful shapes to form in Dots & Co, that leads us to our next tip. 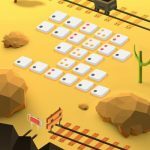 Two Dots players will be familiar with this particular mechanic – connecting dots of one color into a square shape, forming boxes that allow you to finish a level faster. These boxes are typically made up of four dots, but can be of any size, meaning you can use more than four dots if the opportunity arises. Once you reach level 5 or so, you’ll be making lots of these boxes, as making normal matches across the board won’t be enough. That’s because you’ll have to deal with unusual spacing, as well as fewer moves. There are, however, some times when you should NOT be trying to create a box, square, or whatever you prefer to call it. That would usually be when the spacing is too unorthodox for you to create a proper square shape by connecting the dots. If that’s the case, you can always go back to the first tip; take more time and make your moves in such a way that you aren’t wasting any moves. See those bars on the top of your screen? Your energy can be found on the top left counter, and in order to play a level, that would require you to have three energy units. Completing a level allows you to regain some energy, depending on how many stars you score; one star means one unit regained, two stars is good for two units, and three stars means you get all three units back. That makes it very important for you to shoot for as many stars as possible by scoring as high as you could, and using the fewest possible moves to complete those levels. The counter on the top right side is your cog counter; that’s the game’s currency, and aside from giving you five extra moves, cogs allow you to improve your companions’ special abilities. What’s the deal with those companions? Read on as we’ll tell you more in the next tip. The game comes with several companion characters, starting with Anita the Penguin on level 7. Once you reach that level, you’ll see some triangles mixing in with the dots, and you’ll want to match those like you match ordinary dots. Doing so will fill up your companion meter, and once the meter is filled up, that will allow your companion to use their special skill. Anita’s skill is matching dots of one color, and that can be of great help if you’re dealing with an especially tough level. Fill up the companion meter and let your companions do the dirty work for you! We did mention above that you can use cogs to buy yourself five extra moves. You can also use them to buy power-ups, which we shall be explaining in the next tip. But since Dots & Co gives you some free power-ups when you encounter them for the first time, you should not use your cogs to buy power-ups until you’ve earned the freebies. And you should definitely not use them to buy extra moves! Oftentimes it won’t be worth it anyway, as you’ll likely end up with one measly star if you’re able to complete the level with those extra moves you bought. The first and most basic power-up is the eraser, which allows you to remove one dot from any given board. Make sure you use this power-up prudently, as one dot really isn’t a lot at all; preferably, you want to “erase” a dot if it leads to a bigger match or allows you to create a square. The Sure Shot removes all dots in the same row and column where it’s located, and just like when using the eraser, it matters where you place the power-up. Just take note that this power-up is twice the eraser’s price. Lastly, Companion Charge allows you to boost your companion’s skills right away for the price of three cogs. That’s going to last you one level, and allow the companion meter to fill up much faster. Use this power-up if you’re dealing with an especially difficult level that you somehow can’t complete. This again ties in with the very first tip of taking your time before making a move. Always watch the dots carefully when trying to form a square on a board where the colors are strewn all over. Check where the dots not included in your combination will fall once you make the move. This could be the difference between making an empty, inconsequential move and making one that forms a square or a rectangle, so watch those dots and plan ahead before making a move! The colorless dots are another tool, if you can call them that, you can use to your advantage. That’s because they match with dots of any other color, though there is a bit of a catch here – you can only match a colorless dot with the first color that starts a chain, and not a color in the middle of it. That shouldn’t be much of a limitation, though, as they do make things easier and could be instrumental in helping you set up dots to fall into a natural square.